Azaleas have been a mainstay in southern gardens for many decades. Their incredible floral show in the spring combined with their small evergreen stature make them a dynamic addition to the shade garden. Many new cultivars and hybrids have come and gone over the years, but a new series promises to provide color for years to come. The Encore series is blazing a new trail in the name of azaleas. What can make a new series of azaleas so great? How about the ability to flower not once, or twice, but three times? No longer are azaleas limited to two weeks of flowers followed by eleven months of green foliage. Encores flower spring, summer and fall. There are currently over twenty cultivars available in shades of pink, white, purple, coral and “red” (the red looks a little orange). The Encores range in size from three feet in height and width, to five and a half feet tall and wide. Encores bloom on both old and new wood. This means that flowers occur on stems that were produced last year, as well as new growth from the current growing season. 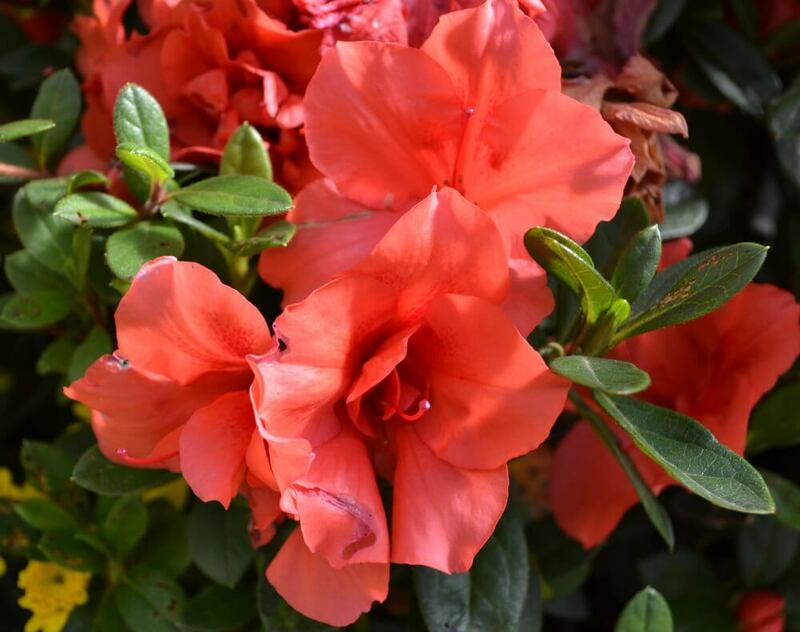 With traditional azaleas, pruning needs to be completed after flowering, but before mid-summer to avoid pruning off the following year’s flower buds. The same holds true for Encores. The difference is that Encores have the ability to re-bloom on the new wood that is produced during any growing season. 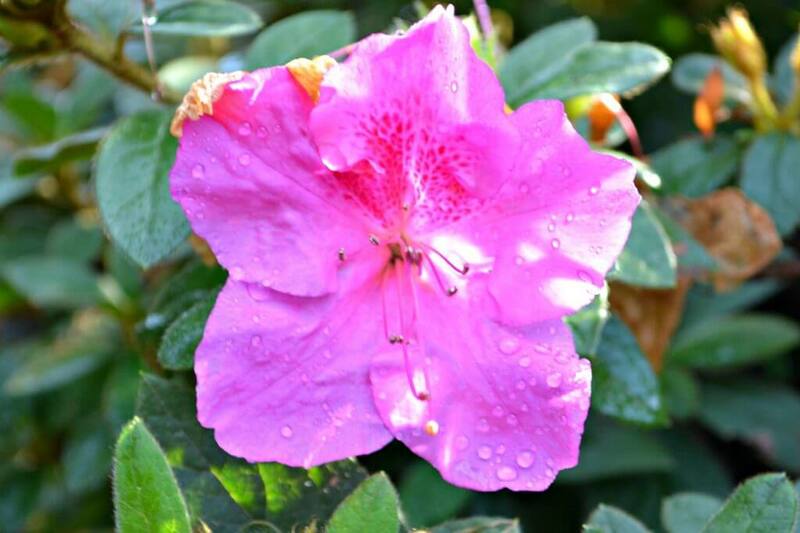 Encore azaleas are very similar to traditional azaleas in their cultural preferences. 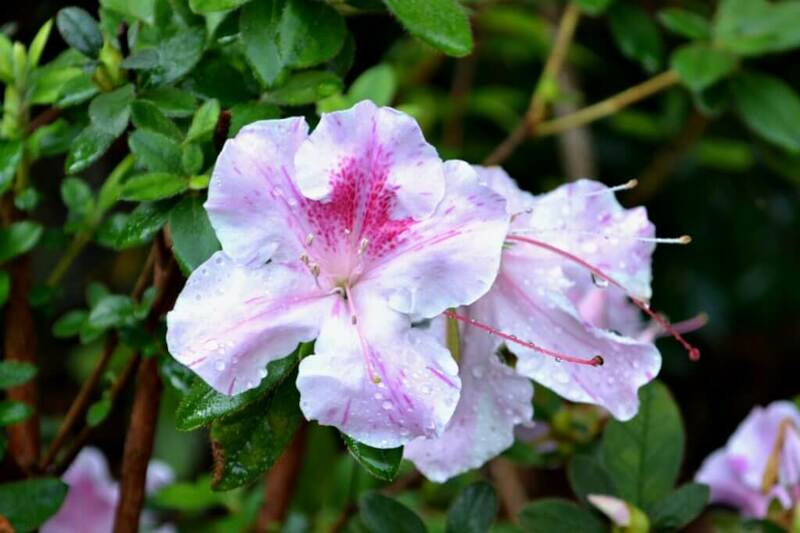 Azaleas do not tolerate heavy, poorly drained soils. Planting is recommended in holes three times the width of the root ball with the root ball situated above grade. This means that a plant in a three gallon pot should sit an inch or two above the soil level. Many of the traditional azaleas prefer shady areas. The Encores seem to perform quite well in sunny areas of the landscape. Encores are vigorous growers with few cultural problems. I have witnessed root rot due to over watering and lace bug damage. Root rot can be prevented by proper planting and paying attention to how much water is applied to the plant. If you grow, or have grown azaleas, you are probably familiar with lace bug damage. Lace bugs feed on the underside of the leaf creating a speckled or bleached look on the upper surface of the leaf. A systemic insect control can be applied to the root system on an annual basis to control lace bug damage. The Encore series breaks the mold of the traditional azalea. No longer do azalea enthusiasts have to settle for two or three weeks of beauty in the spring. Azaleas can be enjoyed year-round!